I'm so thrilled today to welcome Christie, creator and editor of the extremely successful one stop shop parenting blog - Childhood 101 for this month's interview! You probably know by now that all year I've been writing articles for Childhood 101 and it's been a lovely team to be a part of, plus my words and ideas are getting sent out further into the internet abyss than my little blog ever could. Christie is also an early years teacher like me, and has two beautiful girls. Grab a cuppa while you enjoy my chat with Christie. 1. You must be so proud that Childhood 101 was named ‘Best Parenting Blog’ for 2009 and 2011. Would you mind sharing your favourite (or most popular) posts from each of these years? It was such an honour to be recognized in that way, especially in 2009 as my blog was only five months old at the time. I was up against some very popular and established bloggers from the whole of the Asia Pacific region so it was a real surprise. That first year my DIY play kitchen from a cardboard box was very popular and in 2011 my printable routine cards was one of my favourite posts as it was the first time I had tried offering a printable and I loved getting feedback from readers who had downloaded the cards and were using them in their homes. 2. 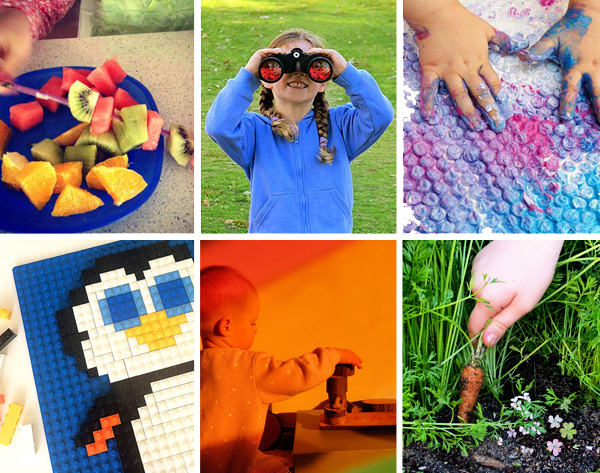 I love that Childhood 101 is a one stop shop for parents where they can find play & learning inspiration, positive parenting tips, home décor/organisation ideas and fantastic healthy recipes. There’s always a huge variety of content. 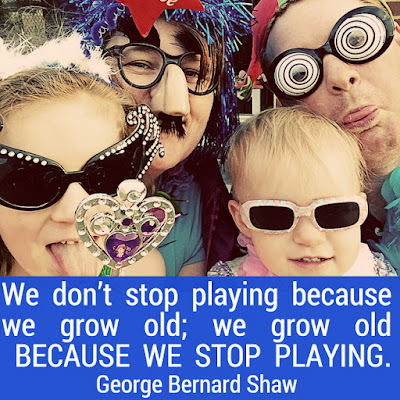 Was this always your vision for Childhood 101 – or did it evolve? It did evolve over time. Originally the focus was purely play and learning ideas and thoughts about early education based on my experiences as a teacher, but as I grew into parenthood my blog evolved to encompass more of the themes related to family life. 3. Where in Australia are you from? What can families get up to when they visit? We live in Perth, Western Australian and WA has the best beaches in Australia so if you come to Perth you have to make time for the beach. Other great places to visit with a family in tow are Kings Park and Fremantle and we also love the Perth Museum, Scitech and Perth Zoo. 4. What does a typical ‘day in the life of Christie’ look like? Pretty boring really!! I am not a morning person and so mornings are all about getting everyone up and ready and out the door for school, without me becoming grumpy and naggy (I wrote about my challenge not to screech “Hurry up!” here). We are usually running through the school gate as the bell rings but at least my school girl is happy and relaxed for her day. Once we are back home, the small girl usually potters around playing while I check emails and make a coffee. Then we either head out to playgroup, a play date or to run errands, or we stay home for play and create. After picking up Immy from school, it’s off to dancing or a play date, or home for homework and more play. Homework, dinner, bath time, bed and then I usually start work. Most of my blog related work is done in the evenings or over the weekend; my husband is fabulously patient with me working around family time and routines. We really are 50:50 when it comes to everything that needs to be done at home. I really am so thankful for the flexibility that blogging has provided me as a career. 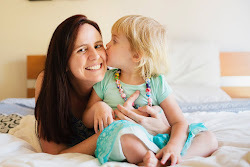 With this being the last year before our youngest starts kindy, I really don’t want her memories of her time home with Mum being stuck to her laptop or phone, so I am making a conscious effort to be in the moment with her. Which means a lot needs to happen after hours and that is just the way it has to be right now. 5. What activities are your girls loving at the moment? My girls (aged seven and three) are both big fans of imaginative play so our house is littered with all manner of figurines and I am forever answering, “Yes?” when I hear “Mum” called, only to be told it is part of the game they are playing!They both enjoy singing and dancing and we recently discovered the VideoStar app (that you can read more about here on the blog, so their current craze is making music videos – the results are quite hilarious! 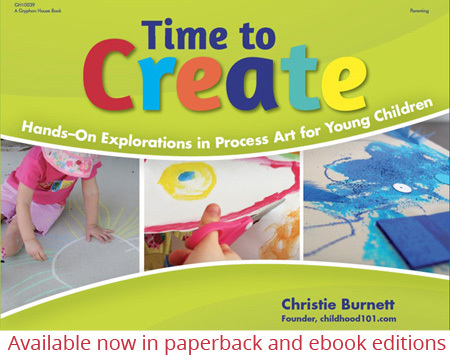 Time to Create is all about creating easy, accessible art with young children. I wrote it for parents and educators in the hope of encouraging them to explore art making with their children and each activity really encourages discovery and exploration. There are sections dedicated to everything from drawing and painting to working with textiles and digital photography. Time to Create also shares information about the learning that happens through art making, lots of suggestions for talking to children about their art and even ideas for encouraging reluctant artists. 7. Who are some of your favourite bloggers to follow? Two of my favourite bloggers have become good friends IRL - Nicole at Planning with Kids and Kate at Picklebums. They are both awesome and they inspire me (in more ways than they will ever know) each and every day on my parenting journey. 8. Finally do you have a favourite quote you’d care to share? Thank you so much for your time Christie! Next up on the blog, I've caught up with the wonderful bloggers who I've had the pleasure of interviewing in the past this year. Please stay tuned to find out what exciting things they've been up to! Glad you enjoyed the interview and found it useful. I would be very thankful if you continue with quality what you are serving right now with your blog. This is very inspirational and a very motivating material for all of us. I am glad that I have seen this post here. The things that was acknowledge by our works will surely help us to achieve more awards in our life in the future.